Katarzyna is a graduate from the Polish Film School in Lodz and alumni of the Binger Film Lab in Amsterdam. Her documentary Wasserschlacht – The Great Border Battle co-directed with Andrew Friedman was awarded Berlin Today Award during Berlinale 2007. 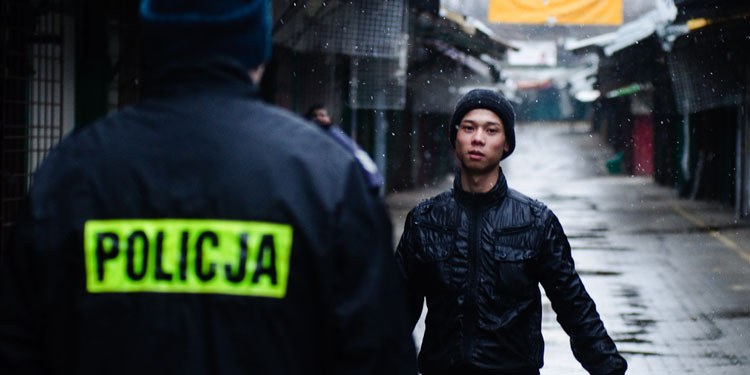 Her short film Hanoi-Warszawa won many Polish and International awards and was voted the Best Short of 2010 by the European Film Academy. Her debut feature film Flying Blind premiered in Edinburgh International Film Festival in 2012 where it has been nominated for the prestigious Michael Powell Award. The film received three Awards (Grand Prix, Best Director, Critics Award) at the Polish Festival of First Films in Koszalin and was released cinematically in the UK and in Poland in 2013. She is a member of the European Film Academy, for many years she was also a president of Film 1,2 Association, which supports young filmmakers in Poland.